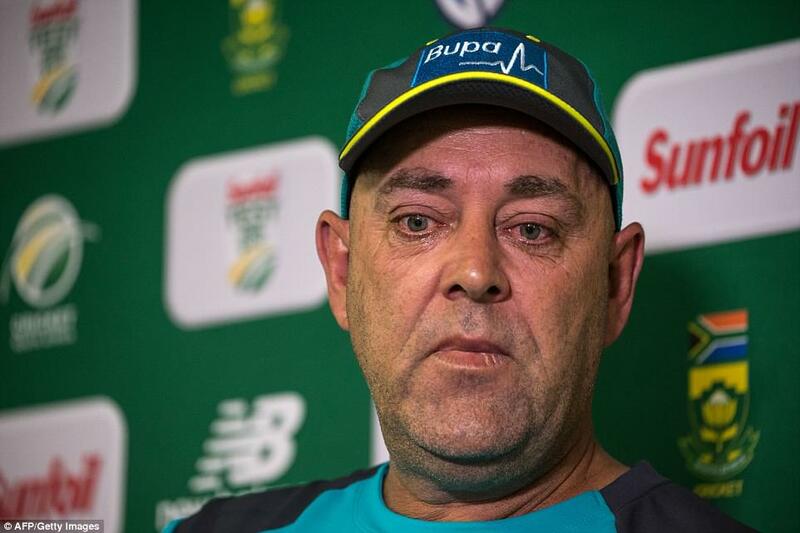 Lehmann decided to quit after watching Smith and Cameron Bancroft deliver emotional press conferences on their return to Australia after being sent home following the ball-tampering controversy in South Africa. 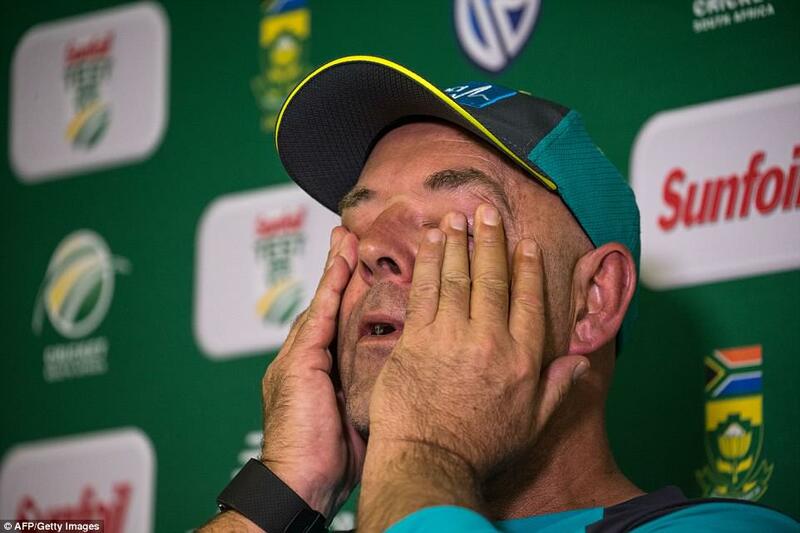 Lehmann had been given the all-clear by Cricket Australia to carry on, despite presiding over a dressing room in which Bancroft felt emboldened to tamper with the ball during the third Test in Cape Town. He was scheduled to leave at the end of the fourth Test, last Friday in Johannesburg, with Justin Langer and Jason Gillespie among the favourites to replace him. 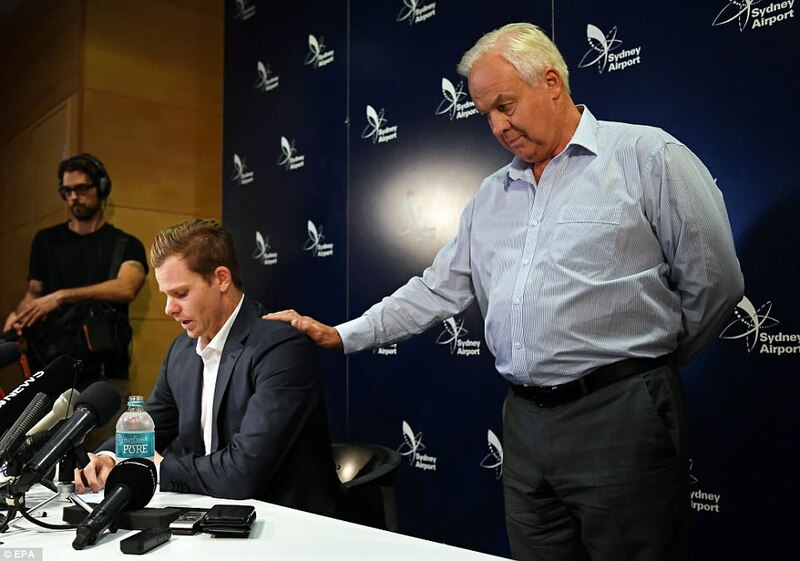 Lehmann’s resignation after nearly five years in charge completed an extraordinary few hours, after Smith — his father Peter standing behind him — broke down while speaking to the media at Sydney airport. 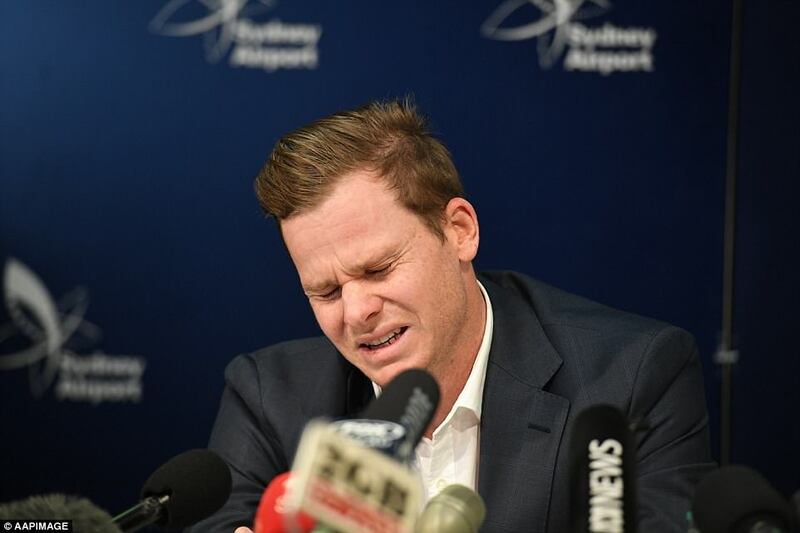 ‘To all of my team-mates, to fans of cricket all over the world, and to all Australians who are disappointed and angry, I’m sorry,’ Smith said, reflecting on the events that have cost him his reputation and his job, and earned him a one-year ban. ‘I want to make clear that as captain of the team, I take full responsibility. I made a serious error of judgment. I’ll do everything I can to make up for my mistake, and the damage it’s caused. Asked why he had not come clean about using sandpaper in an attempt to alter the condition of the ball, he said: ‘I lied. I panicked, and I’m sorry. I feel like I’ve let everyone down in Australia and I’m not proud of that. 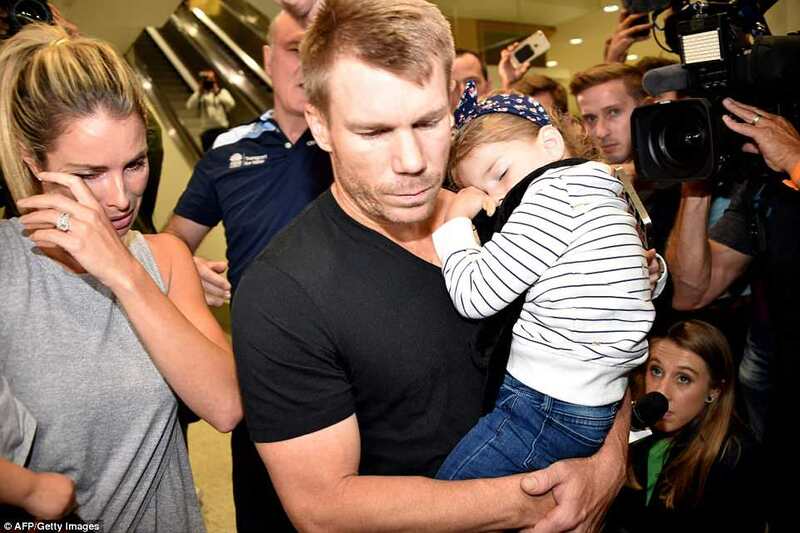 David Warner, who had instructed Bancroft to tamper with the ball, initially limited himself to a brief statement on Twitter. He described the cheating scandal as ‘a stain on the game we all love’, and apologised for his part in it. He later spoke briefly to journalists on arrival in Australia, and promised to say more in the days ahead. Good people can make mistakes. My family and I have copped a lot of abuse over the last week and it’s taken its toll on them. As many of you sitting in this room know, life on the road means a lot of time away from our loved ones and after speaking with my family it’s the right time to step away. I’m ultimately responsible for the culture of the team and I’ve been thinking about my position for a while. Despite telling media yesterday that I’m not resigning, after viewing Steve and Cameron’s hurting it’s only fair that I make this decision. This will allow Cricket Australia to complete a full review into the culture of the team and allow them to implement changes to regain the trust of the Australian public. 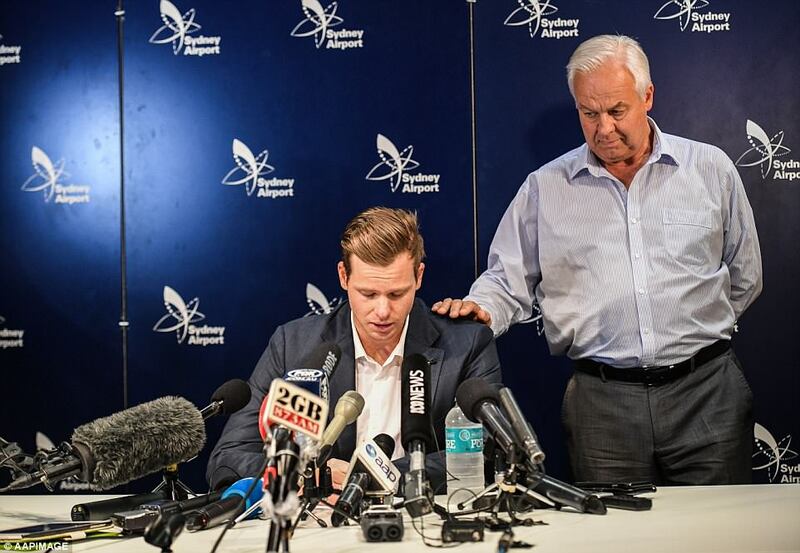 This is the right thing for Australian cricket. As I said yesterday, like all Australians we are extremely disappointed and as a team we know we’ve let so many people down. For that we are truly sorry. The players involved have been handed very serious sanctions and they know they must face the consequences. They have made a grave mistake but they are not bad people. I would like to thank my beautiful wife Andrea, my four children and close friends for allowing me to do this job and supporting me 100 per cent every step of the way. I would also like to thank all the players and support staff who have been fantastic in my five years in the role. We’ve had a lot of highs along the way and played some really exciting cricket. It’s been a wonderful experience. I hope the Australian public find it in their hearts to forgive these young men and get behind the 11 who take to the field. This was tough, but saying goodbye to the players and telling them the news, that’s the toughest thing I’ve ever had to do. 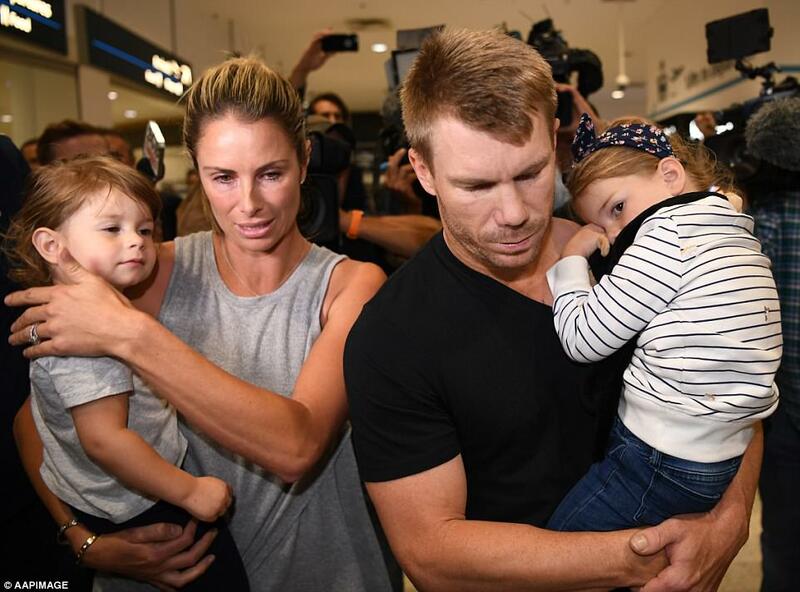 It was notable, though, that while both Smith and Bancroft spoke at events organised by the cricket authorities, Warner was left to his own devices, facing a media scrum at Sydney airport accompanied only by his wife Candice and their two children. His days as an international sportsman are over. 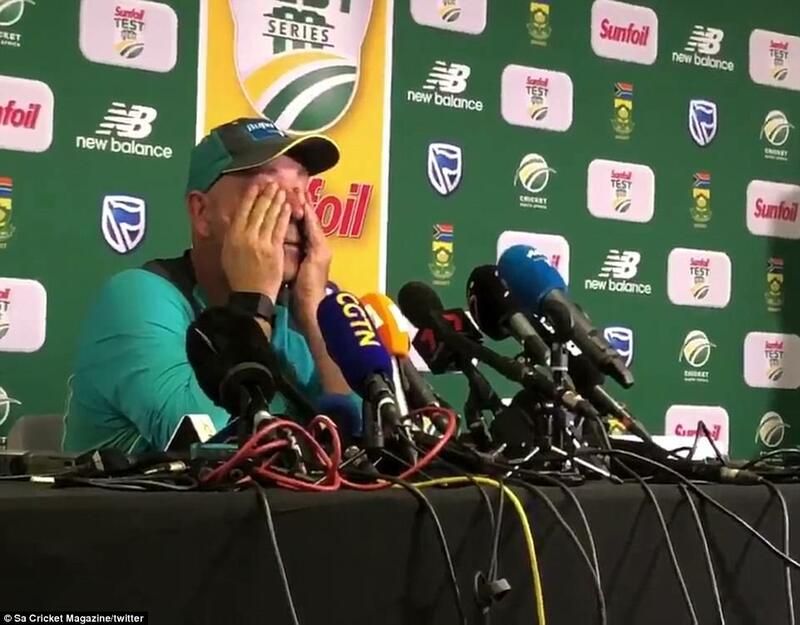 To make matters worse for the game in Australia, financial group Magellan announced they were pulling out of their £11million sponsorship deal with the Test team — only eight months after signing a three-year agreement. Magellan boss Hamish Douglass cited a ‘conspiracy by the leadership of the Australian men’s Test cricket team so inconsistent with our values that we are left with no option but to terminate our partnership’. 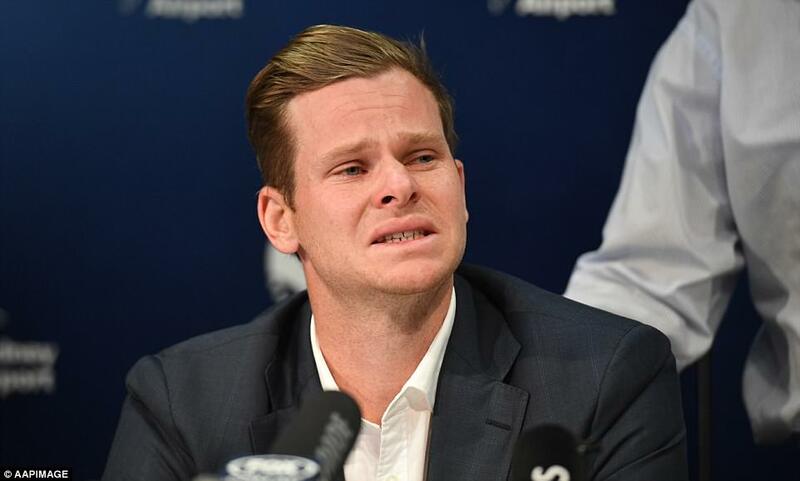 Smith has also lost his lucrative sponsorship deal with food company Sanitarium and an ambassador’s role with Commonwealth Bank. The rumpus, however, is not over. Despite the Australian team’s repeated insistence that they had never tampered with the ball before Cape Town, South African captain Faf du Plessis said his team felt something was amiss earlier in the series when the Australian fast bowlers achieved reverse swing more quickly than usual. 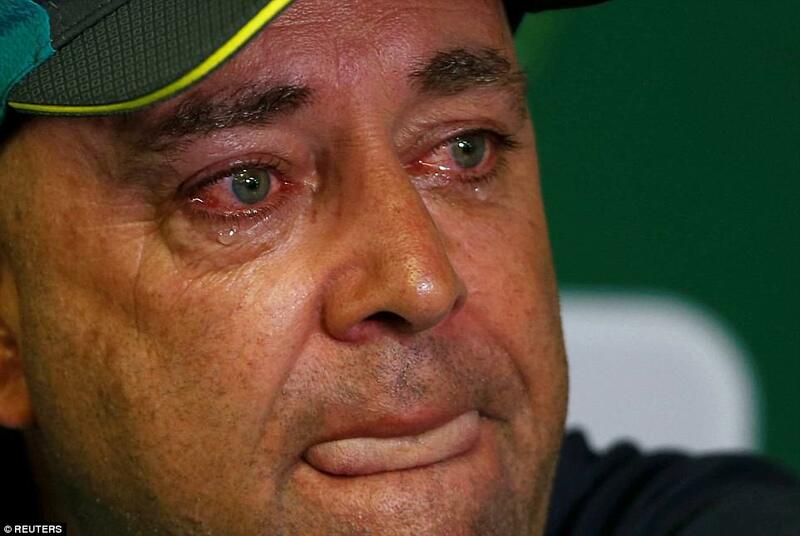 To fans of cricket all over the world and all Australians who are disappointed and angry, I’m sorry. I want to make clear that as captain of the Australia cricket team I take full responsibility. I made a serious error of judgment and I understand the consequences. It was a failure of leadership. I’ll do everything I can to make up for my mistake and the damage it’s caused. If any good can come of this, if there can be a lesson to others, then I hope I can be a force for change. I know I’ll regret this for the rest of my life, I’m absolutely gutted. I hope I can earn back respect and forgiveness. I’ve been so privileged and honoured to represent my country and captain the Australian cricket team. Cricket is the greatest game in the world. It’s been my life and I hope it can be again. I’m sorry and I’m absolutely devastated. It was a huge error of judgment and I’m deeply sorry. 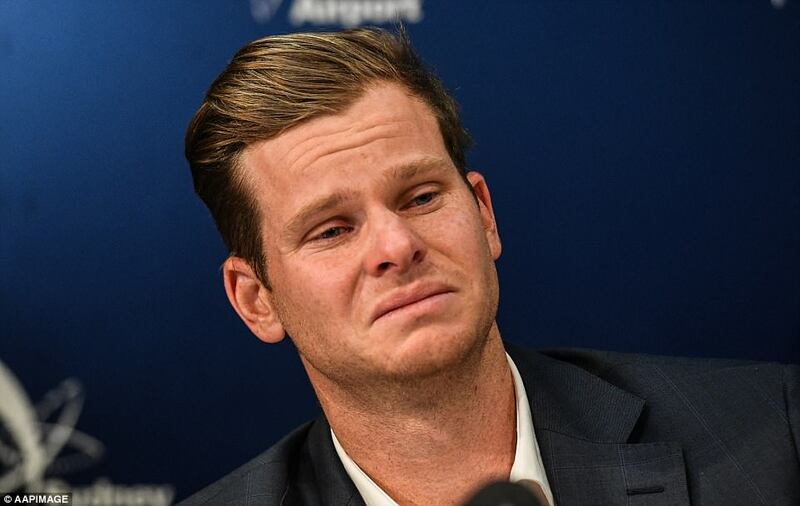 To my knowledge this (ball tampering) has never happened before. This is the first time I’ve seen this happen and I can assure you it will never be happening again. I don’t blame anyone. I’m the captain, it’s on my watch and I take responsibility for what happened in Cape Town. 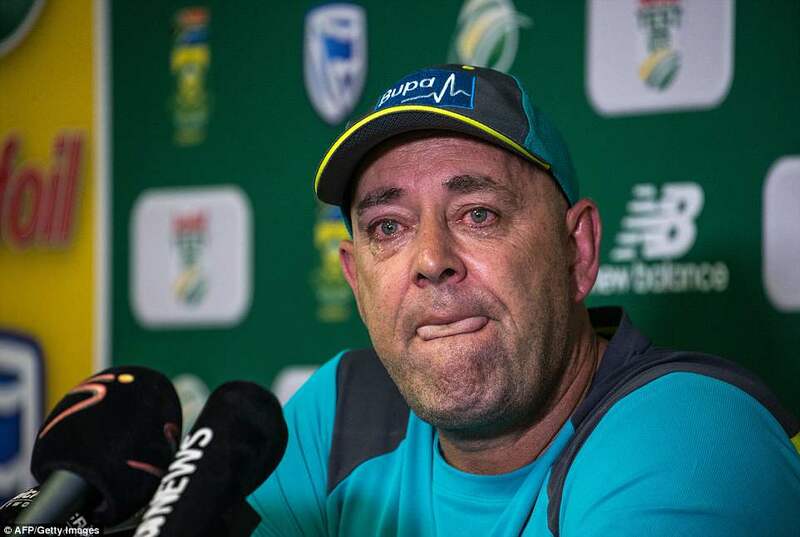 I’m deeply sorry, I love the game of cricket, I love entertaining young kids, I love kids wanting to play the great game of cricket that I love. Any time you think about making a questionable decision, think about who you’re affecting. You’re affecting your parents and to see the way my old man’s been… and my mum… it hurts. I just want to say I’m sorry for the pain I’ve brought to Australia and the fans and public. It’s devastating and I’m truly sorry. That followed Sportsmail‘s revelations that Warner had told England players he had tampered with the ball during the Ashes — a story which the Australians show no sign of investigating further. 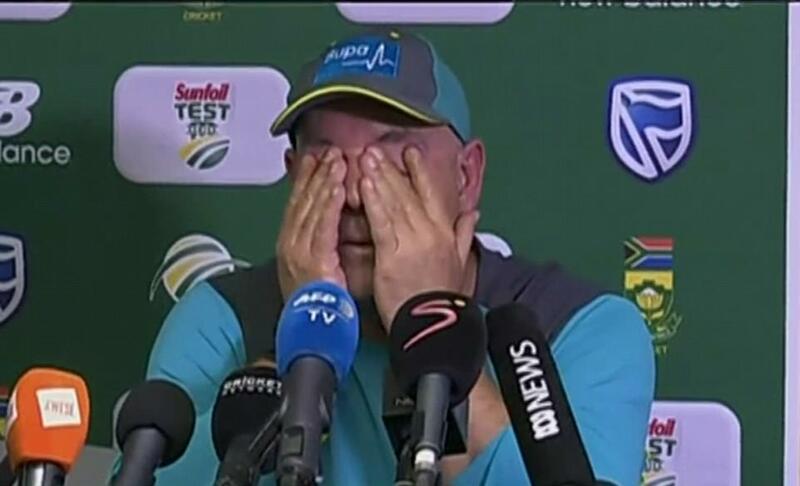 There was a sting in the tail when Australia’s former coach, South African Mickey Arthur, slammed the environment which had allowed the cheating to occur. ‘Unfortunately, it was always going to end like this,’ he wrote on the Players Voice website. 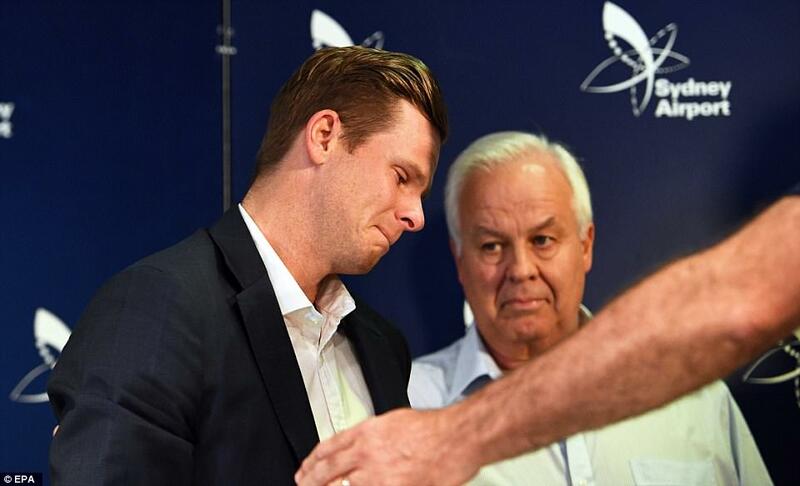 ‘Despite generational change, independent reviews and too many behavioural spotfires to list, Cricket Australia and the national team had demonstrated no real willingness or desire to improve the culture within their organisation from season to season. That could lead to only one conclusion. An explosion. 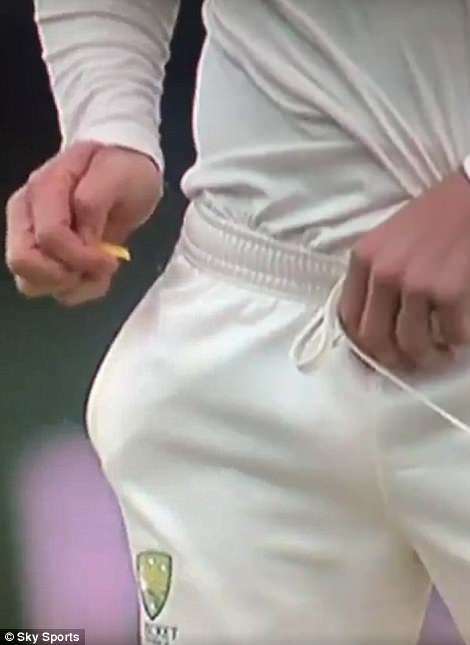 Cricket Australia’s probe into the ball tampering plot by Australian players during the third Test against South Africa has revealed even more astonishing details about the situation. 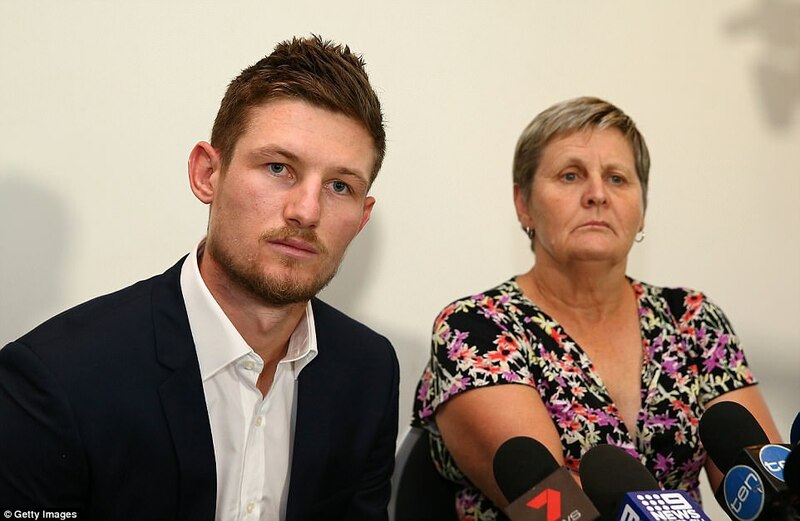 Though it was previously believed that Cameron Bancroft used tape to pick up dirt to be rubbed against the ball, it has been confirmed by officials that sandpaper was utilised to roughen it. The probe also found Warner found responsible for ‘development of a plan to attempt to artificially alter the condition of the ball’, and ‘instruction to a junior player to carry out a plan’. 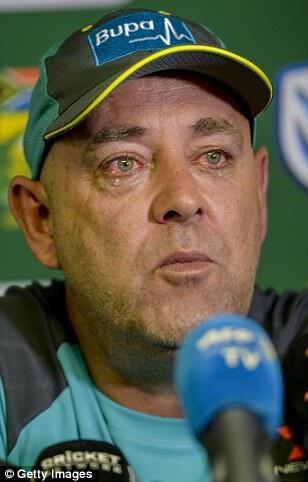 It has led to him being told he will never be considered for a captaincy position in the national side again. 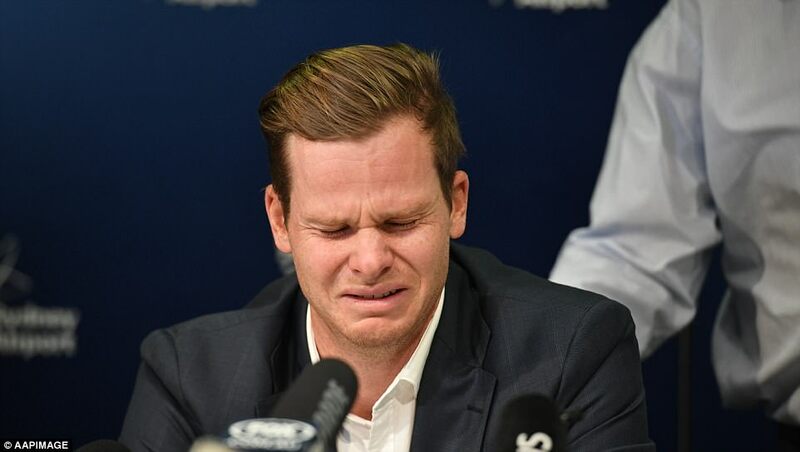 Steve Smith was banned on the basis that he knew about the plan but failed to prevent it from being carried out, as well as directing Bancroft to hide the sandpaper in his trousers. All three were found to have attempted to have lied about what happened to match officials after they were caught out on TV cameras. 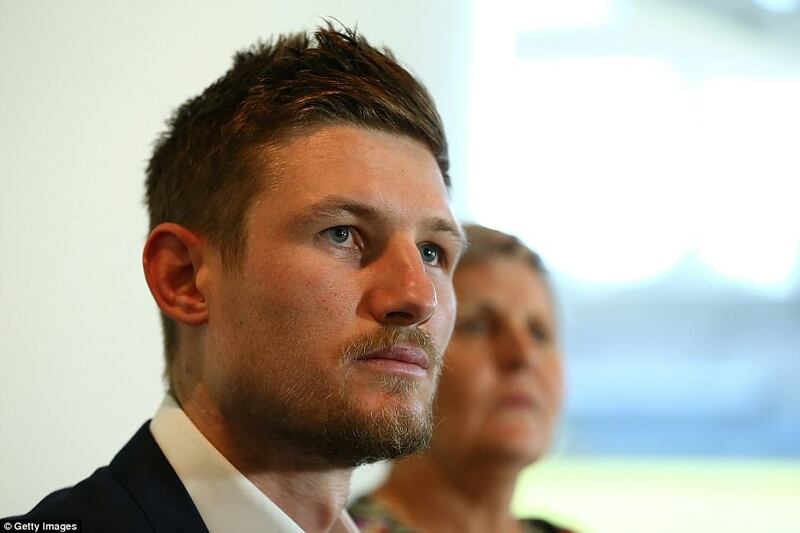 Another blow for Bancroft also came on Thursday when Somerset then released a statement to announce they would not be taking the Australian as an overseas player this season. 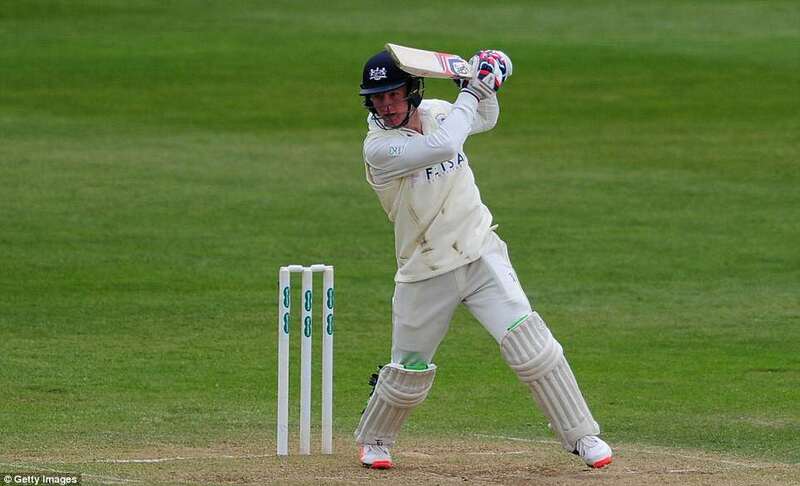 The club’s director of cricket, Andy Hurry, said he had been in constant contact with the opening batsman since the incident, but decided it was in their best interest to not take the player this season. ‘Over the last few days, cricket has been over shadowed by a very dark cloud,’ said Hurry. ‘There has been an understandable amount of emotion, deliberation, varying degrees of language and opinions across the game, the public and the various media platforms all associated with the alteration to the condition of the ball by Cameron Bancroft during the Third Test in Cape Town. ‘It’s important we remember there is a young man at the centre of all this, he made a poor choice, as I and I’m sure many of us have done during our lives. What’s important now, is Cameron is given the appropriate support. There is no doubt in my mind, he will learn from this and he will return stronger. 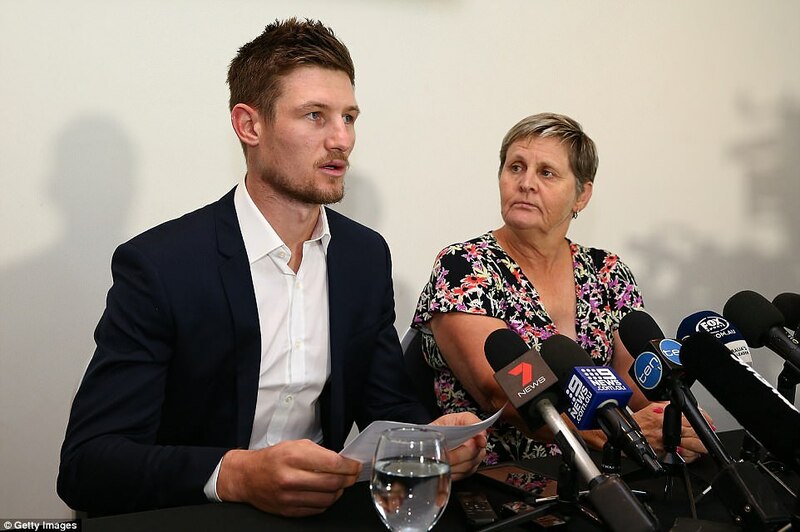 ‘I have met this morning with the CEO, club captain and head coach and with the club’s best interests at the centre of our decision can confirm Cameron Bancroft will not be our overseas player for the 2018 season.